One of the biggest online marketplaces, Newegg has assisted numerous ecommerce stores across the globe with significantly higher amount of visibility and to make more sales. 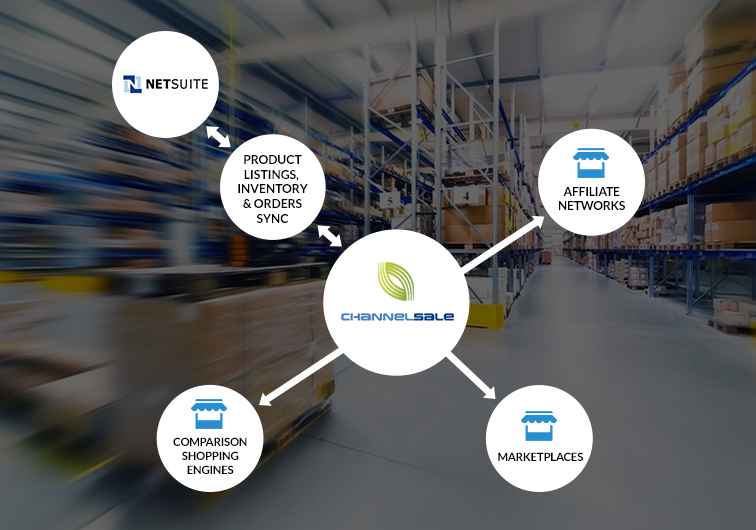 ChannelSale is your one-stop source when it comes to integrating your Netsuite store with the Newegg platform. You can get smooth Netsuite Newegg Integration services from our end. We rely only on the most cutting-edge software management tools in order to facilitate smooth and proper integration of the Newegg platform into your ecommerce store. Our Netsuite Newegg connector makes sure that the integration is effective and smooth at all stages. Our marketing specialists take care of the visibility factor of our store and make use of the best promotional strategies to expose your Newegg store across all platforms. We can find out the key areas of growth for your type of business and promote it in an according manner. Why Should You Depend on Our Services? Other than integration, we also offer store management services such as real-time inventory management, product stock update information, automated product listing and more. Our integration is according to the policies of Newegg, and at no stage will you find your store to be out of accordance with the terms of the online marketplace. We use granular level item category mappings to synchronize your store items with suitable Newegg product categories. We keep you abreast of the selling prices of the products from rival stores, overselling or underselling of your store products, item actions of your store and more. Ww also offer shipping and order tracking management services. We mark up costs via ChannelSale for various shopping engines. We have varied pricing for Newegg and other marketplaces. We can support single or varied products of any type – whether kits, group items or bundles – and of any size, shape and colour. We use Netsuite Newegg app to create a parent-child bond for your Netsuite store with the Newegg platform. Mail us at info@channelsale.com or call us on +1-866-709-9495 to speak with one of our ChannelSale Client Service Executives, and begin with us or get further details about our services.